Newcastle’s Fat As Butter Festival has just got a little wider, with organisers today confirming yesterday’s news that US hip hoppers Far East Movement has been added to the official line-up. The band will be joined on the roster by US duo Karmin, whose single ‘Brokenhearted’ is a platinum-selling smash and who are supporting Far East Movement on their upcoming tour. The two outfits add to an already impressive line-up of local and international guests, which includes Good Charlotte, Rebecca & Fiona, Eiffel 65, 360, Wheatus, Yacht Club DJs, Hungry Kids of Hungary and many more. Festival organisers are also giving local bands two chances to join the line-up at this year’s event. One competition is being run through the Triple J ‘Unearthed’ program, while the other is being run directly through the FAB Facebook page. All the details are HERE. 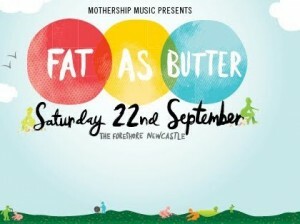 The Fat As Butter Festival returns to Newcastle’s famous Foreshore on September 22.